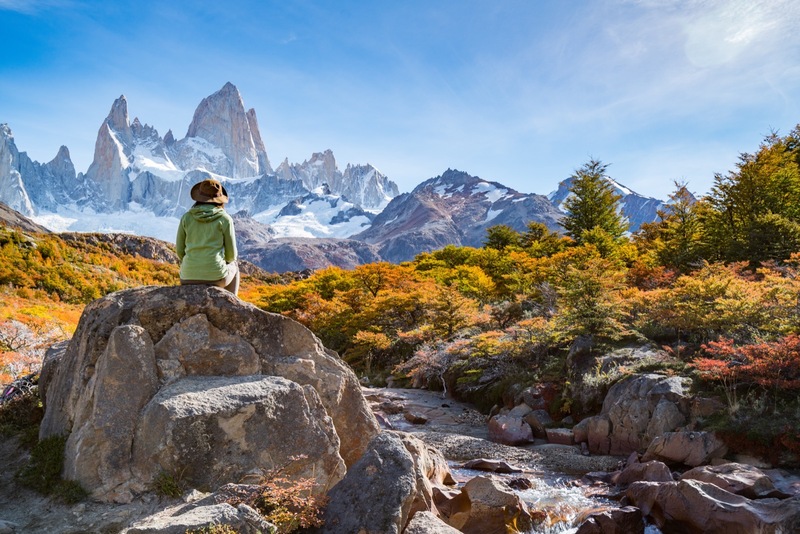 Experience the best of the northern and southern Patagonia. Explore the Lake District, mingle with penguins on Magdalena Island, and gaze upon majestic glaciers in Torres del Paine. You’ll feel like you’re a Chilean gaucho horseback riding in the Andean steppe. Most trekking elevation is under 5,000 feet. Shorter hikes (up to 5 miles) are scheduled among other activities like penguin viewing via boat, horseback riding and drinking local wines. This trip is for any adventurous outdoor traveler. Day 1: Welcome to Puerto Montt, the gateway to the Andes! Arrive at Puerto Montt, the gateway to the Andes mountains and the Patagonian fjords in the afternoon. Meet your guides and group mates and discover why they call this area the Lake District. Settle into your new accommodations in Puerto Varas and rest from your travels. Dinner will be on your own in the hotel. 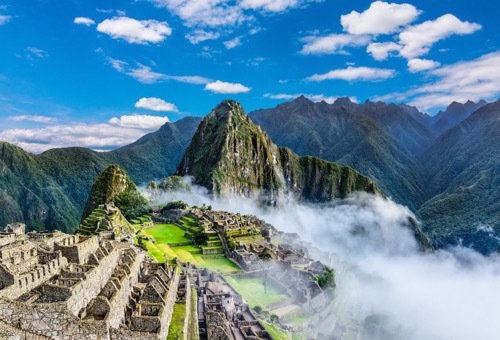 Day 2: Encounter glaciers, lakes, waterfalls, and volcanoes as you trek the Andes. Enjoy breakfast at the hotel before spending the day exploring the Andes. Hike around Llanquihue Lake on the way to an active volcano complete with glaciers and gaze at the mouth of Fish River. Enjoy lunch amongst some of the most spectacular scenery. Stop at villages and small towns as you trek toward waterfalls and dramatic scenes culminating at the Lake of All Saints. Explore downtown Puerto Varas and choose a dinner on your own. Day 3: Encounter the rare Magellanic penguin on the island of Chiloe. Cross the Chacao Channel via ferry to the island of Chiloe. Discover its quaint palafitos – colorful houses built on stilts above the water. Explore the sixteen wooden churches, which have been declared World Heritage Sites by UNESCO. 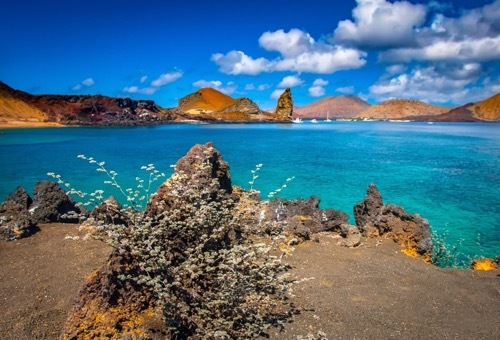 Venture to the beach of Puñihuil and boat to one of the only islets where both the Magellanic and the Humboldt penguins meet. Day 4: Explore the endless trails and lakes as you hike through Alerce Andino National Park. After breakfast at your hotel, set off for a full day exploring Alerce Andino National Park. Hike through forests aged at more than four thousand years. With more than fifty lakes and endless hiking trails, you'll be sure to spot some local wildlife. Day 5: Fly to Punta Arenas and take in the magnificent surroundings. Transfer to the airport for your domestic flight to Punta Arenas, the southernmost tip of Patagonia. Settle into your local accommodations and take in the magnificent surroundings. Day 6: Marvel at the views of the Estancia Fitz Roy. After breakfast discover the true Patagonia. 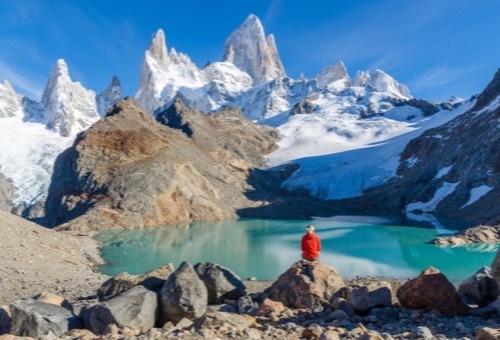 From the Estancia Fitz Roy, you will live the traditions of the Magellan gaucho, witness wool baths and sheep shearing, and experience a true Chilean barbecue. Day 7: Cross the strait of Magellan and explore a nature reserve. Take a boat tour across the Strait of Magellan to a nature reserve and marvel at the thousands of Magellanic penguins milling about on the pebbly terrain. Circumnavigate Marta Island to see countless sea lions in their natural habitat. Day 8: Hike amongst glimmering glaciers in the famed Torres del Paine National Park. 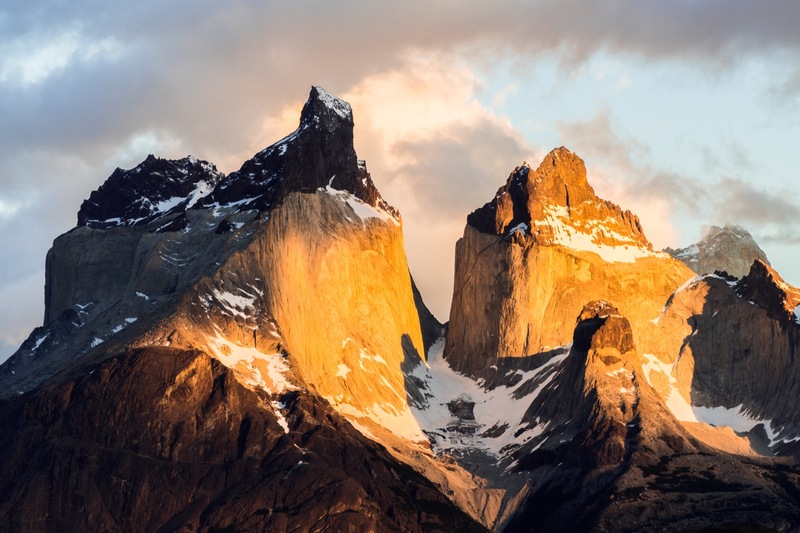 Spend the day exploring the UNESCO World Biosphere Reserve Torres del Paine National Park. Hike the famed W trail to see some of the top sights in the park. Gaze upon soaring mountains, view sparkling glacial lakes, and hike alongside glaciers. If you’re lucky, find a local guanaco amidst an unmatched backdrop. Day 9: Explore the area on horseback as the Gauchos did. Take the morning to discover Patagonia as the Gauchos did via horseback. Share a typical Chilean lunch together before embarking on a half-day guided bike tour. Day 10: Marvel at the incredible views from Mirador Gray before crossing Lake Pehoé. 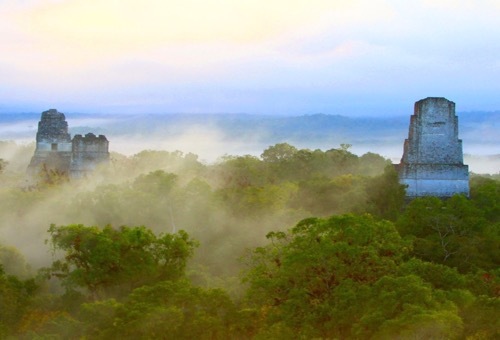 Experience one of the park’s most incredible views from Mirador Gray. Board a catamaran for a half-hour crossing of Lake Pehoé. Set off on a trail along the east side of Lago Grey beneath the towering bulk of Mount Paine Grande. The path undulates through rocky areas, mixed native forests, and woodlands. Day 11: Say farewell to your trip mates before departing. 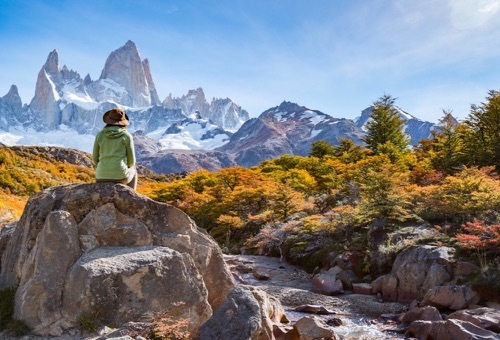 Say goodbye to the jaw-dropping backdrops of southern Patagonia and your travel companions before embarking on your journey home. Join Executive Director and WI Founder Greg Lais and his wife Patti Thurber on this once-in-a-lifetime adventure. TERRAIN/ROUTE: Enjoy exploring the Andes and the Lake District. We will hike a few miles of uneven trail most days above sea level. TYPE OF TRAVEL/DISTANCE: You will travel mostly by foot as you explore the wonders of northern and southern Patagonia. Transportation to and from accommodations will be provided by van. Domestic flights are necessary to explore both regions. LEVEL OF DIFFICULTY: No previous experience is necessary, however the elevation and uneven terrain make this trip a bit more difficult. We’ll take it easy and let you acclimate. WEATHER: Temperatures in November (summer) can range from 40°F at night to 72°F during the during the day. Rainfall varies – you should expect some rain throughout your trip. 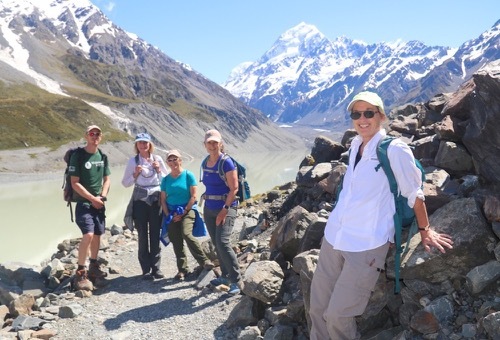 YOUR GROUP: The group size ranges from 8 to 12 participants, plus one Wilderness Inquiry staff, and one local guide while in Chile. Each group consists of people of various ages, backgrounds, and abilities, including people with disabilities. ACCOMMODATIONS: Throughout the trip we will be staying in local hotels and lodges. The accommodations are very comfortable. Typically there are 2 people per room, matched by gender or requests to room together. In most rooms, solo travelers have single beds and couples share beds. We make every effort to ensure privacy and cleanliness. MEALS: Enjoy typical Chilean fare, including fresh fish, barbecue, lamb, chicken, and fresh produce. Bottled water is recommended and readily available. We’ll enjoy happy hours, but the purchase of alcoholic beverages is not included in the trip fees. EQUIPMENT AND CLOTHING: You will need to provide your personal clothing and gear which is outlined in the packing list. We recommend layers as the weather can change quickly. To make your travel arrangements for this trip we recommend that you consult with a travel agency. The agency we work with frequently, Travel One, can be reached at (800) 247-1311. 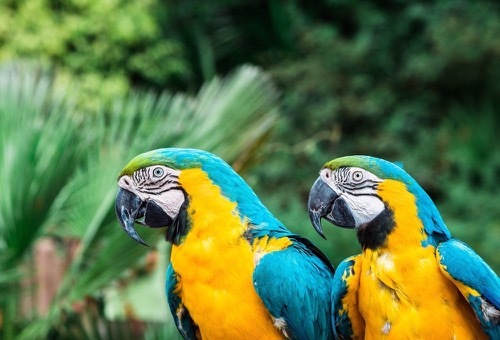 They are typically familiar with our trips and can help you make the best flight connections and hotel transfers at the best prices. Most people will fly to Santiago, Chile, and then connect to our meeting area of Puerto Montt, Chile. That is a 2 hour flight and about $50. At the end of the trip you will be transported to the airport in Punta Arenas and fly home (or anywhere else you might be headed) from there. Most people will fly back to Santiago and then home from there. It is a 2 hour flight from Punta Arenas to Santiago (about $110). Except where made explicit, WI will provide for all trip-specific transportation in Chile between the two flights. Detailed meeting place instructions will be sent to you when you are confirmed for the trip. Some of the trip information on your website is different than the trip catalog. Why? 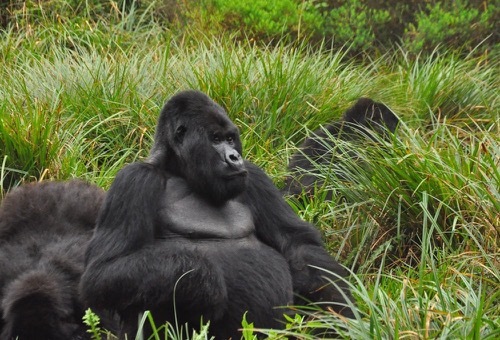 While it does not happen very often, sometimes dates, fees, or activities change after we print our trip schedule. We also add new trips all the time. Our website is the most up to date source of information and always supersedes trip catalog information. Most trekking elevation is under 5,000 ft, but some do go as high as 9,000 feet. Shorter hikes (up to 5 miles) are scattered among other activities like penguin viewing via boat, horseback riding and drinking local wines. If you can walk 5-miles you'll be fine. 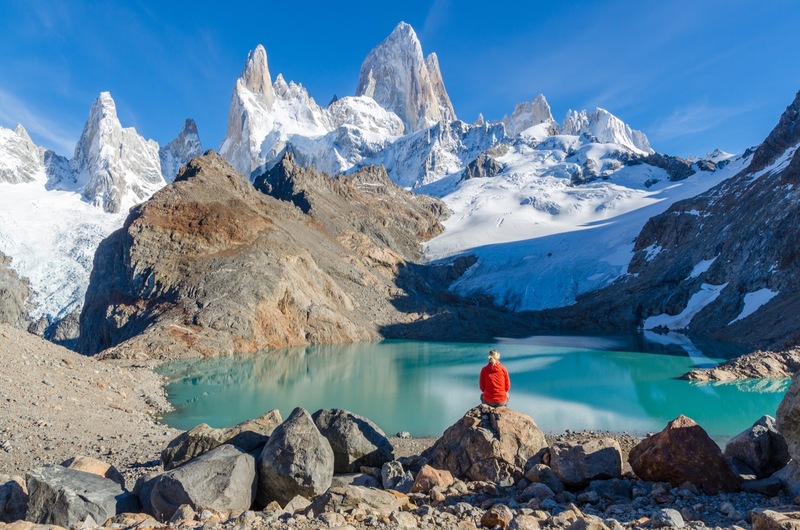 Do you have a single supplement for Patagonia Hike and Explore? You can elect to guarantee a single room for the duration of the trip for $1295 during the registration process.